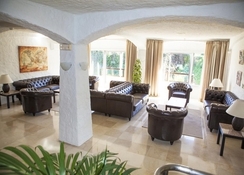 In Puerto de La Cruz, in a quiet urban area of Tenerife, stands the Perla Tenerife Hotel, a 3-star establishment which provides its guests with an ideal stay close to the resort centre and sandy beach. 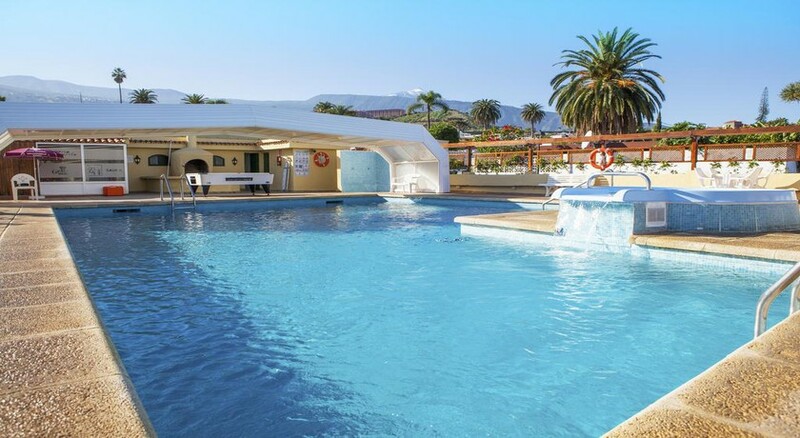 The hotel offers a magnificent swimming pool which includes a jacuzzi, a waterfall and a large sunbathing area with sun loungers, plus a poolside bar with a barbecue area. The rooms at Perla Tenerife Hotel are welcoming thanks to their bright and airy décor and comes complete with all the relevant amenities you would expect. 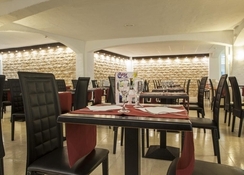 The hotel’s buffet-style restaurant offers guests local and international cuisine for breakfast and dinner – but there are also plenty of options for food and drink nearby if you wish to experience authentic Canarian cuisine. 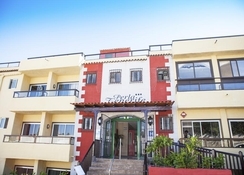 The Perla Tenerife Hotel is located in a residential area of ​​Puerto de La Cruz, very close to the city center and some of its main tourist attractions such as Plaza del Charco, San Felipe Castle or the Casino. In its vicinity there is a public transport stop that communicates with other points of interest which guests can visit, such as the Loro Park or the Aquatic Garden. The Tenerife North Airport is 29km away. The rooms at Perla Tenerife Hotel are characterised by their classic style decoration with furniture of simple lines and warm colors and are distributed in double rooms, double rooms with two adults and a child and triple rooms. They are equipped with a furnished balcony or terrace, a complete bathroom that includes hairdryer, air conditioning, ceiling fan, desk, satellite TV, piped music, safe, minibar and direct dial telephone. Crib and extra beds are available. Perla Tenerife Hotel hosts a restaurant that serves a buffet breakfast, lunch and dinner and offers international and Canarian cuisine. Guests can relax by the pool bar sampling house wines, an assortment of beers and other alcoholic and non-alcoholic beverages, accompanied by music. The hotel staff offers entertainment to its guests both day and night, to ensure their stay in the hotel is as relaxed and enjoyable as possible. Take a refreshing dip at the magnificent outdoor pool with a jacuzzi and waterfall, or lounge at the large solarium area with sunbeds and a barbecue area, or the garden area surrounded by swaying palms. Lovely location and friendly staff. it was good hotel very quite but room fan was not working. restaurant was good but it was a bit hot not enough fan or ac.